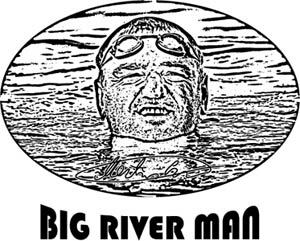 An award winning documentary (Sundance Winner) Big River Man! 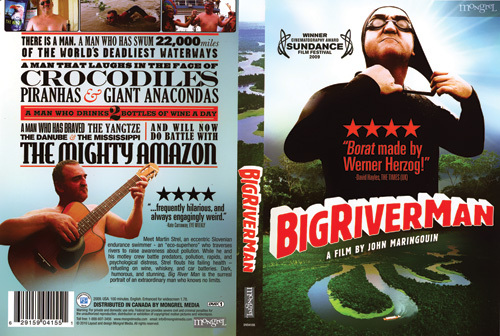 The film chronicles Martin Strel´s swim down the Amazon river. 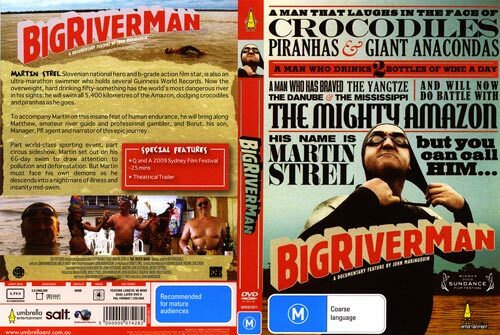 If you want, Martin can sign-autograph the DVD for you! BUY 3 OR MORE AND RECEIVE 1 ADDITIONAL FOR FREE! Click on the image to enlarge the photo! High quality cotton orange T-shirts with Big River Man logo. T-shirts are made by our partner company - the top European Sportswear firm NES Ltd. 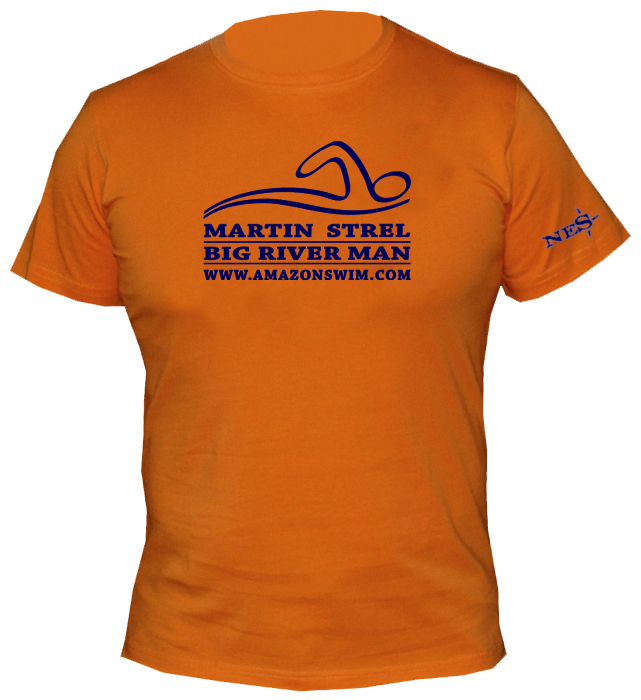 Available Sizes: S, M, L, XL, XXL Signed by BIG RIVER MAN-Martin Strel if you want! Let us know where to sign (front, sleeve)! AN ADDITIONAL T-SHIRT FOR FREE! Click on the T-shirt to enlarge the photo! 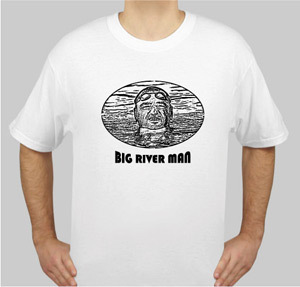 High quality heavy 100% cotton white color T-shirt with engraved signature of Big River Man - Martin Strel! 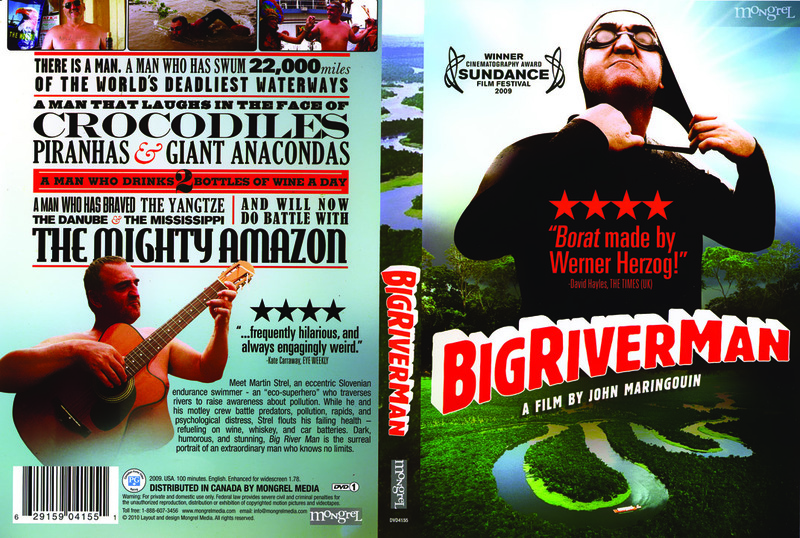 Close-up image, click on to enlarge! Personally autographed by Big River Man - Martin Strel. 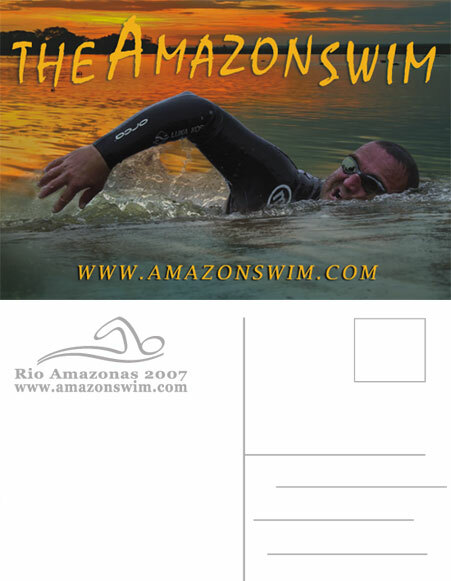 BUY 3 OR MORE AND RECEIVE 2 ADDITIONAL POSTCARDS FOR FREE! 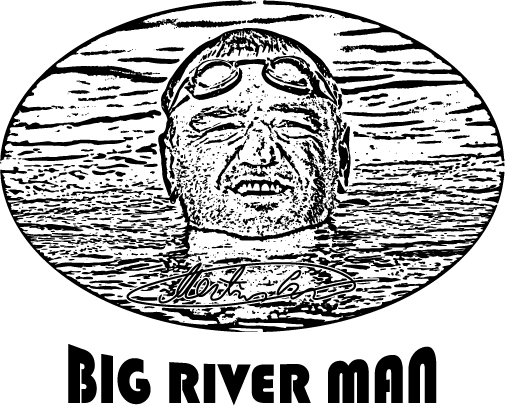 Thank you for supporting Martin Strel-Big River Man in this historical achievement.